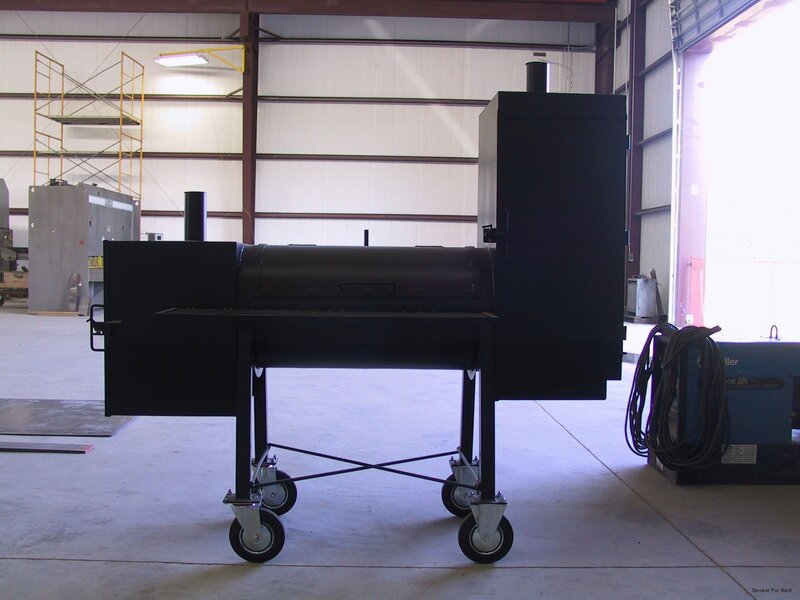 This smoker is a perfect back yard unit, or could also be mounted on a trailer facing backward from the trailer tongue, or on the side left or right. The trailer can also have other features added or custom built at additional cost. Ability to build a fire in the barrel portion for direct cooking & smoking, at the same time. These units have ash catchers & grease drains can be added. to prevent grease fires. The Vertical Smoking area has slide out trays for convince. The grill in the direct cooking area slides all the way out the fire box for easy access to fire & removal of ashes. The direct cooking area does about 20 to 25 large hamburger patties per load. The vertical smoking area will hold 4 large briskets. You are also able to cook directly and then smoke meats at the same time in the vertical smoker. A removable plate above the fire box for coffee pot, large skillet, or dutch oven. 2 temperature gauges one in the direct grilling area, and 1 in the vertical smoker area. Delivery & set up can be arranged on individual basis.